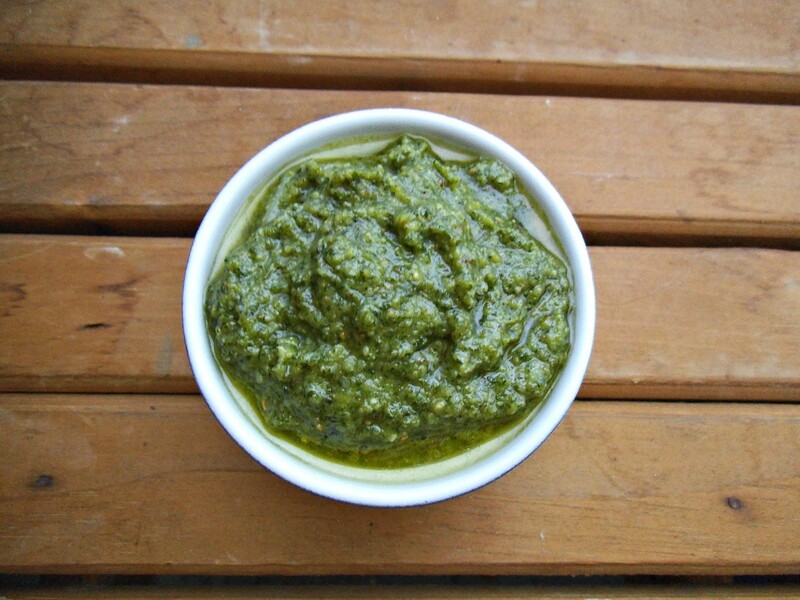 A simple pesto recipe using toasted pine nuts, fresh basil, olive oil, parmesan cheese and a good olive oil. There is a wonderful restaurant in Needham, MA called Sweet Basil that everyone should experience in their lifetime. The tables are intimately placed closed to one another with sweet little flowers in vases and candles decorating each table, vibrant music plays overhead, ivy grows from pots hung from the ceiling and soft twinkling lights brighten the room. Not only is the atmosphere amazing, but the food is out of this world. Fresh local ingredients are served up every night and a lovely little bowl of fresh house-made basil pesto with warm crusty breads awaits on your table. It is to die for. I have only had the pleasure of dining there once, but it's pretty hard to forget. 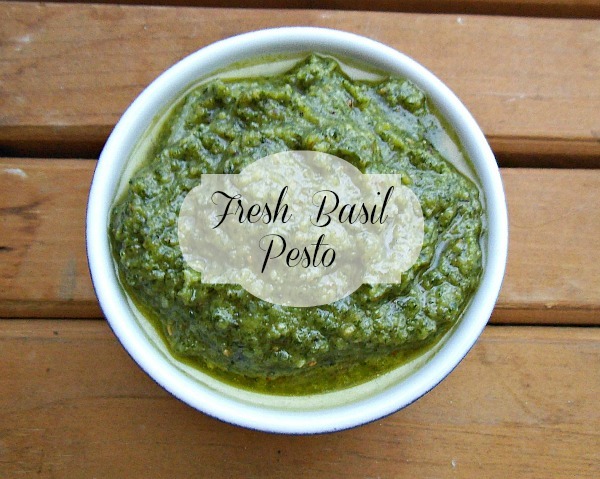 I have always had a love for pesto but have never liked the store bought kind - it's too salty, oily and garlicy for my taste. 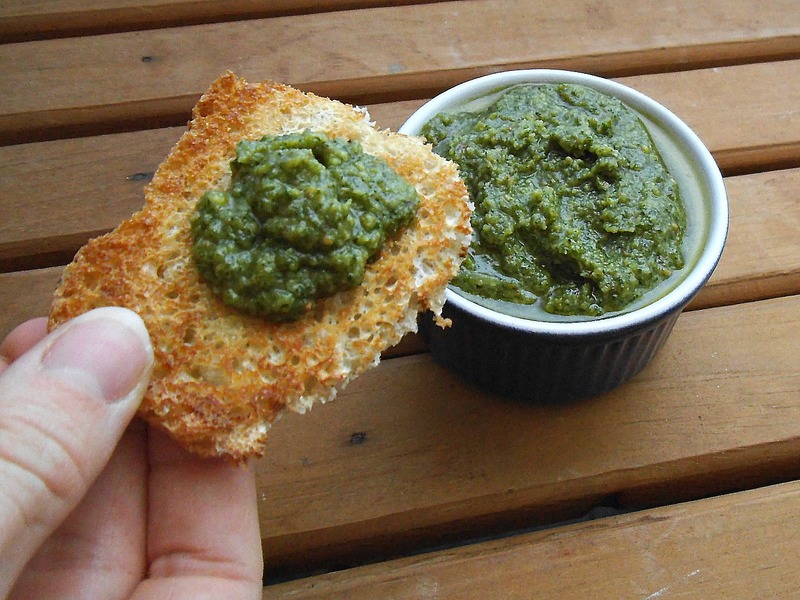 Sweet Basil wouldn't share their basil recipe (and why would they?! ), which inspired me to try my own. It can never beat the pesto at Sweet Basil, but I'll give myself a pat on the back because this is pretty darn tasty. Mix in parmesan cheese and pulse again until combined, then add basil leaves and olive oil.